Happy Fall! The weather is starting to feel like Fall - my favorite season! Hope you're enjoying the change in the weather and all that Fall brings. 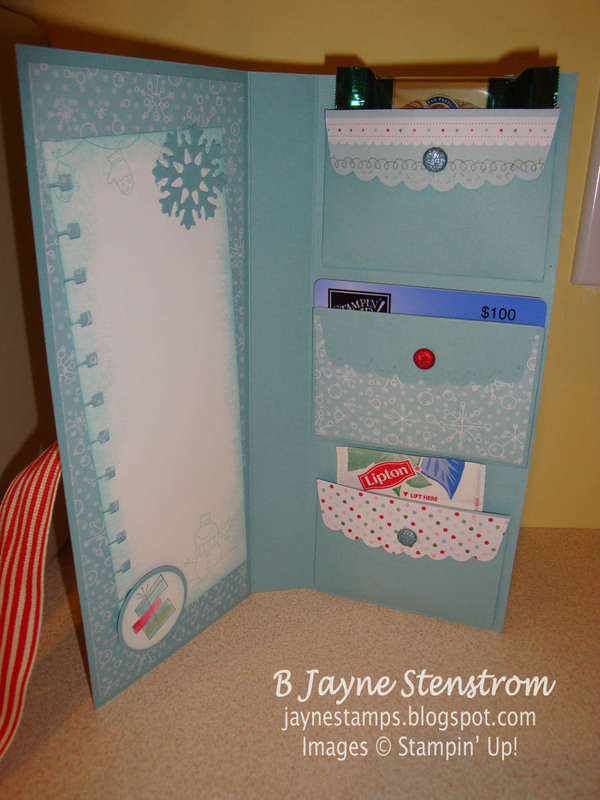 This is the other project that I made last week with my friend Judy. It's a "gift pocket wallet". it uses the exclusive Stampin' Up! 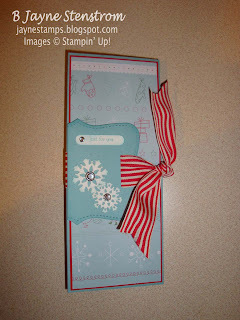 Scallop Envelope die to make the pockets inside. 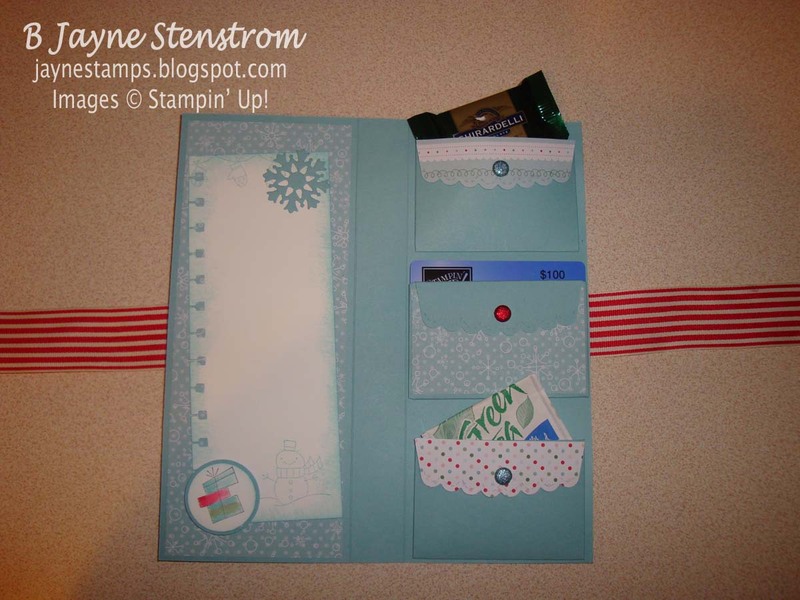 I made mine with the Candy Cane Christmas DSP from the Holiday Mini Catalog (pg. 33). 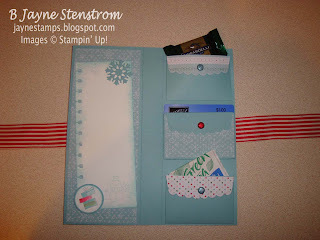 I took this with me to my workshop on Saturday and I've now got a special workshop/class scheduled to make these. One of the attendees at the workshop wanted to schedule a class to make these. She's providing the place and the guests, and I'll supply everything to make these for a fee. So if you can't come to me for a class, I'll bring the class to you! Contact me for more details. Besides a gift card, I included a Ghiradelli chocolate and some tea in my sample. You can get instructions on how to make this by going to Pink Buckaroo Designs and viewing this link. She has wonderful step-by-step instructions! I've also seen this with a pad of paper on the left side. Too cute!